I met Pat Breitung soon after Rick and I moved to Little Plum Place. Her name had come up in conversations on different occasions. If I was looking for history for the Little Plum School or any rural school in the Pepin area, Pat was the one person I should contact. After a few weeks of remodeling, I contacted Pat by phone we chatted a few minutes and arranged a meeting for the following week. I met face to face with Pat in May of 2018. 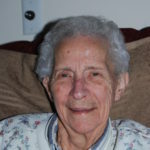 Pat was 85 years old, recently widowed, tenacious, direct and still in service to her community. Her slim figure and brilliant blue eyes reminded me of my paternal grandmother. I found a friend and great camaraderie with Pat Breitung. She allowed me access to her personal files, including photos to take home and scan into my files. On my second visit to Pat’s home I was excited to share with her, the dating of a picture from her files, the information regarding the school district lawsuit and a teachers manual I had recently purchased at an antique shop. On my third visit I was allowed to view ‘Pat’s Archives’. Under lock, key and keen supervision I was allowed access to years of Pat’s work. Her work included the gathering, sorting and storing of all of the rural school house records of the Pepin School District. It took Pat years of phone calls, drives down country roads, cajoling people to share artifacts and some of that ‘directness’ to create the archives. I was fortunate to find a file box of records for Little Plum School house. These were the original source documents, with the answers to many of my questions. I continued meeting with Pat on a regular basis. We spoke less and less of history and more of life in general. I so enjoyed our long afternoon chats, peppered with joy and laughter. She was a gracious host and a dear friend. This picture was taken on February 1, during an afternoon where I asked questions about how she started getting involved in school history. We made plans for me to swing by her house on February 12. It started snowing that morning, and Pat gave me a call to say we should cancel. She was busy the rest of the week with family coming to help her celebrate her 86th birthday. We said our goodbyes, thinking we would see each other after the weather settled down. The weather settled down, Pat took a turn and by the time I had wonderful news to share about a recent purchase for the school….Pat was gone. Suddenly, without much warning.